Save up to 50% off select styles for the whole family. Applies to select swimwear for the family. 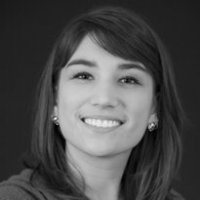 “Expect great things” out of a department store? Well, that’s Kohl’s motto and they more than live up to with their prices and selection. Check out with a Kohl’s coupon code and you can also expect some great savings, to boot. Whether you’re outfitting your home, expanding your wardrobe, or looking for that perfect gift, shopping at Kohl’s will leave you with a very happy experience. You’ll find what you want at a cost that’s more than likely much less than you expected. For the home, their departments include Bed & Bath, Kitchen, Dining & Entertaining, Furniture, Home Décor, and Patio & Outdoor. For the body, they carry stylish and name brand clothing for women, men, teens, kids and babies. Plus, they have swimwear for the beach or pool, and a huge selection of footwear for sport, dress or leisure. Kohl’s also has great deals on fine and casual jewelry & watches. They sport a complete Sports Fan Shop where you can deck yourself or your surroundings out with your favorite team’s gear. Their website provides a Gift Ideas section that can help you choose that perfect gift for baby, wedding, housewarming or graduation. The site also gives you the ability to sign up for one Kohl’s Wedding, Little Ones, or Special Days registries so others can get you (or someone you know) just what you need. Kohl’s mission is “To be the leading family-focused, value-oriented specialty department store offering quality exclusive and national brand merchandise to the customer in an environment that is convenient, friendly and exciting.” They must be doing everything right because in the last twenty years they’ve expanded from their original 79 stores to their present 1,146 stores in 49 states. It also helps that their online store is one of the most user-friendly, easy to navigate, and easy to shop & buy at that you’re ever going to run across. Take advantage of it and plug in a Kohl’s coupon code for deep savings off their already low prices. Kohls tells you to "Expect great things." That applies to their prices and selection. Buy everything from clothing, to appliances, to home wares and of course buy it for less by using a Kohls coupon code. 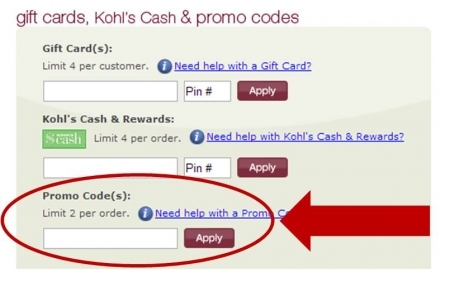 Below are instructions on how to use and apply a Kohl's coupon code. After locating the coupon or deal you want to use to purchase Kohls items, click the corresponding "Get Deal" button on the Couponpal Website. A new window will pop open when you click on your button. If Couponpal is providing you with a Kohls coupon code, copy and paste from the pop up window. Keep this window open in case you need to come back to it later. 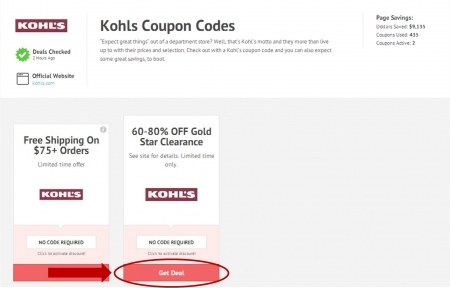 If there is no Kohls coupon code, you will skip this step. After you have clicked the Couponpal "View Deal" button, your window will be redirected to kohls.com. You may have been sent to a page corresponding with the coupon that you clicked on. 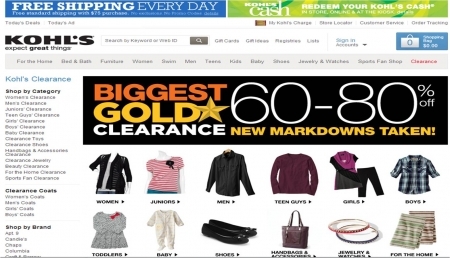 If not, browse through the category of Kohls items you want to purchase. For example, you can click on For the Home, Bed & Bath, Furniture, Women, Swim, Men, Teens, Kids, Baby, Shoes, Jewelry & Watches, Sports Fan Shop, and Clearance. When you find a Kohls item you are interested in, click on its picture to take you to the product page. From the product page, select options such as color and size, then click "Add to Bag." Click the blue "Shopping Bag" link in the upper right hand corner if you are finished shopping and want to check out. 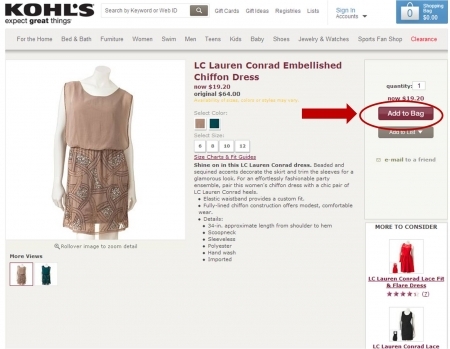 Confirm all the Kohls items in your shopping bag are correct. Then click "Check Out." Fill in your billing and shipping information, then click "Continue." Enter your credit card information and your Kohls coupon code. Then click "Continue" to finalize purchase. It’s easy to save money at Kohls. They’re continually offering free shipping promotions and Kohls Cash Rewards, which can add up to big savings! Here are some questions you might have while browsing the Kohls site. Why isn’t my Kohls coupon code working? If your Kohls coupon code isn’t working, it could be that there are expiration dates or minimum size orders attached to the deal. Check to make sure there aren’t any of these restrictions before you check out. You can reach customer service by calling 1-855-564-5705, Monday through Saturday from 7 a.m. to 10 p.m. or Sunday from 8 a.m. to 10 p.m. (all times CST.) You can also contact them at Email Us. Kohls has a Hassle-Free Return Policy, which means that it’s super easy to return products that you’re not satisfied with. As long as you have your receipt, you can get a full refund or make an exchange. You can send back your items (with the supplied label) or you can return your items to your nearest Kohls retail location. For more information, go to Returns. Unless you received a Kohls coupon code offering you discounted shipping, you are responsible for shipping costs. However, you should check the Kohls website before you check out, in case they’re offering any special promotions. Otherwise, shipping costs are determined by how much you spend. The charges range from $6.95-$25, depending on the amount of your order. For more details, go to Shipping Charges. Kohls currently accepts Discover, MasterCard, American Express, Visa, Diner’s Club, JCB, and CUP. You can also pay with a Kohls Charge Card, Prepaid Gift Card, Kohls Gift Card, or Kohls Merchandise Credit. How do I earn Kohls Cash Rewards? Kohls Cash Rewards is a great way to save tons of money that you can spend at Kohls! On specific dates, Kohls will give you $10 in Kohls Cash for every $50 you spend. For every additional $50 you spend, you get $10 more (ex: spend $100, get $20 Kohls Cash; spend $150, get $30 Kohls Cash.) If you’re ordering online, you’ll receive your Kohls Cash in an email, and you can spend it online or at your nearest Kohls store. This is an awesome way to get more merchandise for your money! Kohl’s knows you work hard for your money. That’s why they provide you with tons of ways to save money when you shop online or in their stores. With a gigantic inventory of household items and clothes for the whole family, you can expect to find only the most affordable prices at Kohl’s. Here are just a few of the ways you can add up those savings! One of the best ways to save money is to redeem your Kohl’s Cash Rewards. They’re super easy to earn! During specific time frames, they will give you $10 in Kohl’s Cash for every $50 you spend. For every additional $50 you spend, you’ll get $10 more in Kohl’s Cash. For example, if you spend $100, you’ll get $20 in Kohl’s Cash; if you spend $150, you’ll get $30 in Kohl’s Cash. One of the benefits is that you can use your Kohl’s Cash Rewards online or at your nearest retail location. Kohl’s offers a huge Clearance Center on their website. You’ll be shocked to see how low some of these prices are. During some clearance sales, the section has discounts up to 75-90% off! Plus, you’ll find closeout pricing on items like cookware, furniture, and jewelry. The Clearance section should always be your first stop at the Kohl’s website--you never know what great bargains you can find there! You never want to miss out on an awesome sale Kohl’s is having. So you should sign up for their Email Newsletters. You’ll always be apprised of hot new sales, upcoming deals, and free shipping offers. Plus, if you sign up now, you’ll get 5% off your next in-store purchase and 10% off your next online order! The Today’s Deals section of the Kohl’s website lets you see all the various savings you can take advantage of in one place. This page notifies you of clearance sales, free shipping offers, and online-only deals. Today’s Deals also gives you information on Rebates that you can mail in for additional savings. Kohl’s offers free shipping on orders over $75, giving you one more way to save money. Shelling out cash for shipping charges can oftentimes be the most expensive part of shopping online. So, Kohl’s helps limit your expenses and keep to your budget! Kohl’s has so many deals, you’ll think there has to be a catch. But trust us, there isn’t any fine print! The bargains you see are the bargains you get! Plus, with your Kohl’s coupon code, you’ll be able to save even more cash!